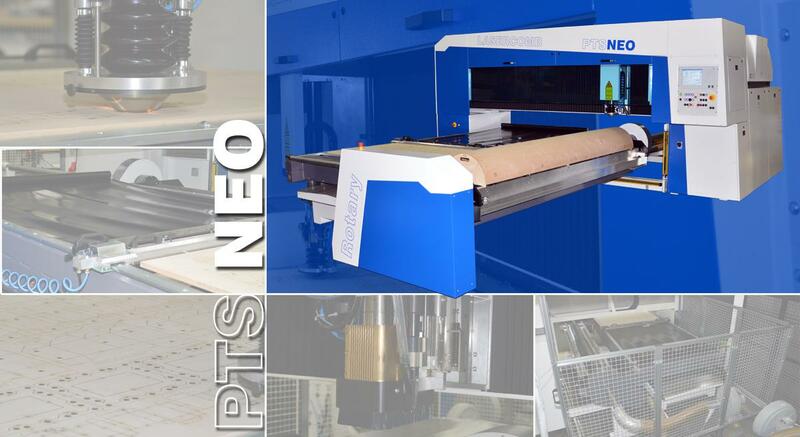 PTS Neo – a modern combination laser system for flat and rotary processing - edge of technology in all components. Lasercomb PTS systems are installed worldwide, commonly used in multiple-shift operation for many years. They are characterized by minimum maintenance effort and maximum availability and production reliability. We combined our proven concept with modern design and newest technology in this recent PTS generation. For adjustments to your special requests we offer a large variety of options. 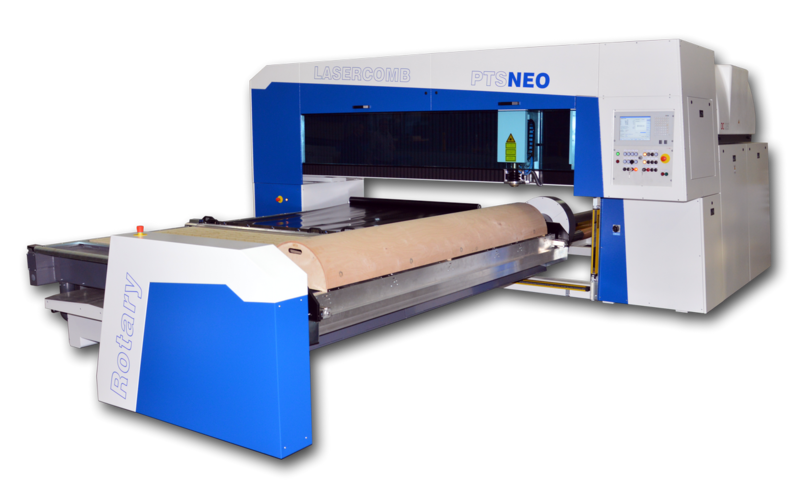 Starting with the standard equipment for easy wood processing going to high speed engraving, steel cutting, milling processing and a laser power up to 3.000 W we have several options to configure the machine according to your needs. Your PTS Neo system can be adjusted according to your requests by means of various extensions. Therefore the following options are available. Cutting steel sheets on the laser system is a frequently requested application. In our opinion the PTS Neo is particularly suited by means of the Precitec nozzle which works with high pressure up to 25 bar and the cartridge system of the nozzle which makes easy replacement of lens and focal length possible. Furthermore, there are additional options available which facilitate machining steel sheets or rather metallic materials. The system will get equipped with additional cutting gas ports for oxygen and nitrogen. A Precitec high pressure nozzle will be used with a cartridge system for easy replacement of lens with 5 ¼” high pressure lens. Additional material tables will be displayed on the operator interface where specific metalworking parameters can be recorded. The cutting gas circuit is flushed automatically while rearranging. Milling processes on the shell surface are part of the daily work for a long while now especially for rotary cutting dies. In various applications, for example the so called “Evol-Dies”, a great number of different milling grooves is required. Accordingly, we offer an additional milling axis which is independent and a controlled Z-Axis and also equipped with a 3,4 kW spindle. Additionally, it can be complemented with an automated tool replacement. The milling process is supported by upstream height sensing. Consequently, a uniform cutting depth is secured even with different wood thicknesses. Less frequently, milling processes for flatbed processing are requested. Nevertheless, all options for milling processes are also available for it. The tool replacement system is equipped with 5 tool places and a measuring station to survey the tool length. We offer this option for additional support points to improve and stabilize laying of smaller cutting dies and processing cutting die remnants.